OMEGA-3S: Each serving of Nature's Bounty Fish Oil 1200mg softgels contains 360mg of Omega-3s. Nature's Bounty Omega-3s are comprised of EPA and DHA that helps support and maintain the health of your cardiovascular system. * This odorless formula is held to the highest purity and potency standards. 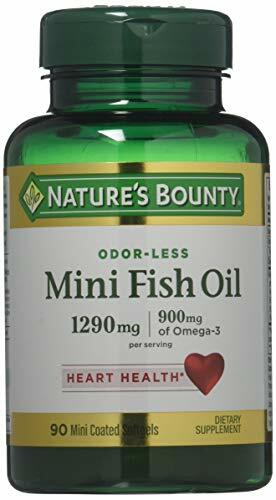 OMEGA-3S: Each serving of Nature's Bounty Fish Oil Mini Odorless Softgel contains 1290mg of fish oil for 900mg of Omega-3s. Nature's Bounty Omega-3s are comprised of EPA and DHA that helps support and maintain the health of your cardiovascular system. * This odorless formula is held to the highest purity and potency standards. 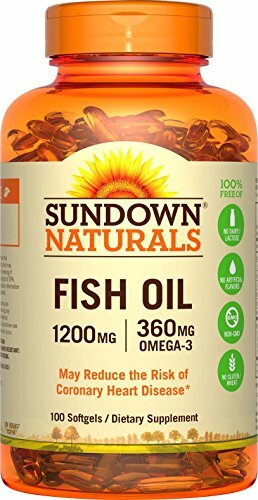 Sundown Naturals Extra Strength Fish Oil 1200 mg provides you with eicosapentaenoic acid (EPA) and docosahexaenoic acid (DHA), two omega-3 fatty acids known for their ability to support healthy heart and cardiovascular function. * Fish Oil also contributes to healthy circulation, and helps maintain healthy triglyceride levels already within a normal range. 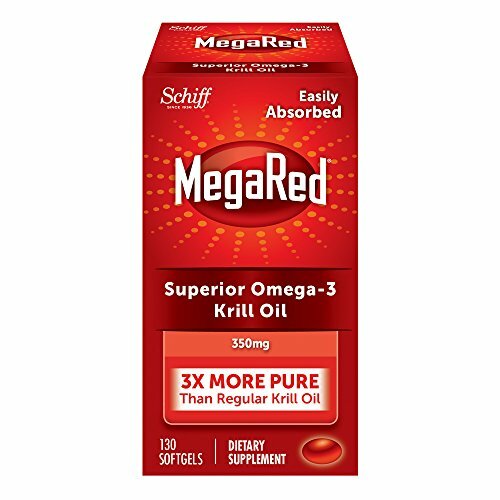 * This Fish Oil supplement is purified to eliminate heavy metal contaminants such as mercury, PCBs and dioxins, and supplies 720 mg of Omega-3s per serving. Contains 720 mg of Omega-3s per two-softgel serving. Purified to eliminate mercury, PCBs and dioxins. Nature's Bounty Fish Oil 2400 mg contains EPA and DHA, two Omega-3 fatty acids that help support and maintain the health of your cardiovascular system. Omega-3 fatty acids are considered good fats important for cellular, heart and metabolic health and help maintain triglyceride levels already within a normal range. 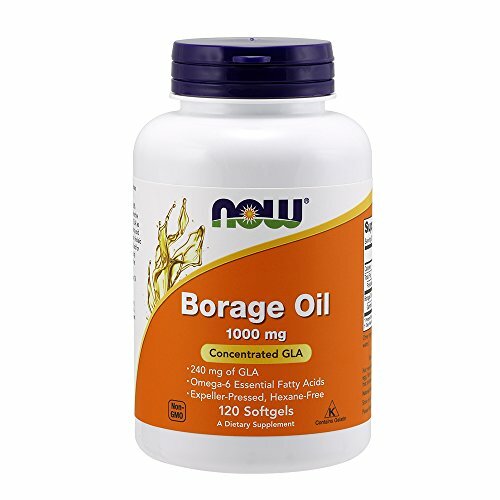 Borage Oil is a nutritional oil consisting of 60% Polyunsaturated Fats and approximately twice the average content of Gamma Linolenic Acid (GLA) as Evening Primrose Oil. GLA is an essential fatty acid that the body is able to produce from dietary linoleic acid; however, it can be more efficiently utilized for body functions when supplied directly through dietary sources. Research has determined that Borage Oil does not have harmful levels of Pyrrolizidine Alkaloids (PAs). NOW Borage Oil is expeller-pressed and hexane-free. Natural color variation may occur in this product. 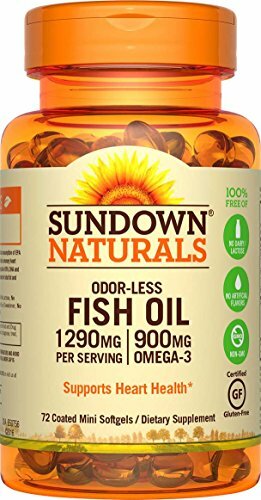 Sundown Naturals Odorless Premium Omega-3 Fish Oil 1290 mg provides you with eicosapentaenoic acid (EPA) and docosahexaenoic acid (DHA), two fatty acids that are known for their ability to support healthy heart and cardiovascular function. * Two mini softgels a day are all you need to contribute to healthy circulation, and help maintain healthy triglyceride levels already within a normal range. 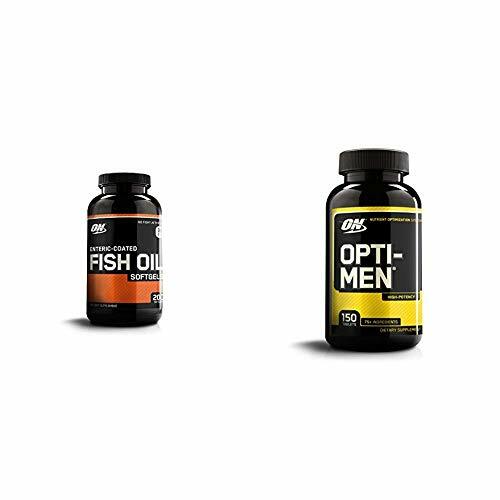 * These odorless softgels are coated to minimize any fishy aftertaste, and are purified to eliminate heavy metal contaminants such as mercury. 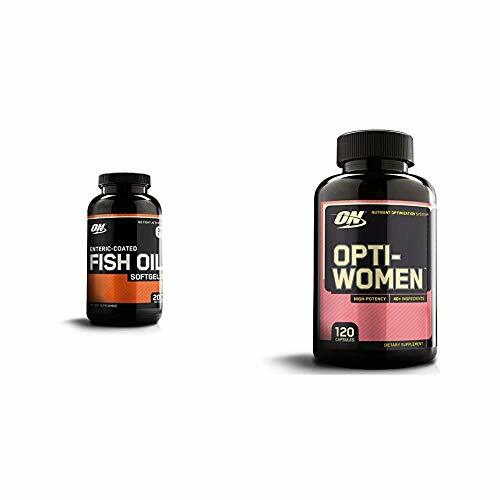 Two mini softgels a day supply you with 900 mg of Omega-3s. HEMP OIL FOR PAIN RELIEF - Our omega supplement of hemp oil gives you a natural way to relieve chronic pain, inflammation, and more using the benefits of the hemp plant. It also provides anxiety & stress relief, & promotes better sleep patterns. 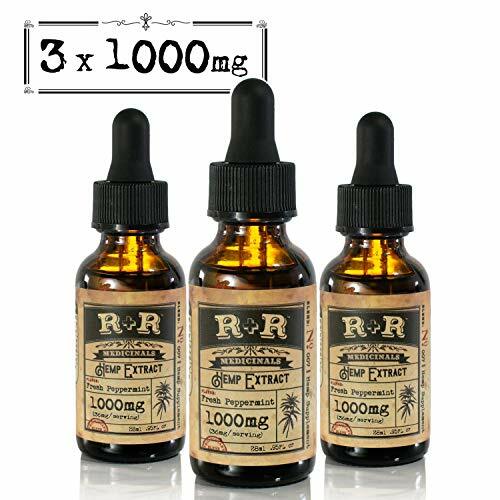 PREMIUM HEMP OIL EXTRACT - One serving (40 drops) of the dropper delivers a 36mg serving! Our full phytonutrient blend gives a complete entourage effect that includes natural terpenes, flavonoids, antioxidants, and phytonutrients. Packed with essential omega fatty acids and calming essential peppermint oil. Roughly a 30-Day Supply! CO2 EXTRACTION AND LAB TESTED - We're different; our organically grown hemp comes from certified Colorado hemp farms and is extracted through a cold, CO2 based state-of-the-art process that leaves nutrients intact. Every batch is third-party certified for safety and consistency. FULLY LEGAL - Legal in all 50 states, our industrial hemp is organically grown only from certified Colorado hemp farms. Consult your healthcare provider and employer before consuming any hemp product (including hemp seeds and hemp protein) as trace phytonutrients may lead to a positive test result. 100% MONEY BACK GUARANTEE - We stand behind our product with pride. If you are not completely satisfied, simply return our hemp oil tincture to us within 30 days for a full and prompt refund. At Natganics, our mission is YOUR optimum health. We take pride in bringing you the most effective herbal dietary supplements made from the highest quality organic ingredients so you can live each precious day in glowing good health. 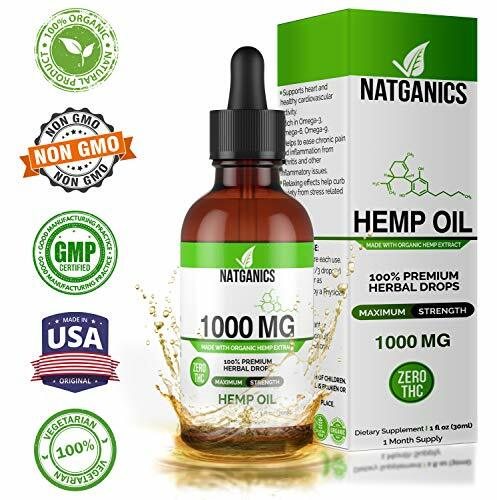  Concentrated Organic Natganics Hemp Oil provides natural relief for many discomforts. Our 1000mg Organic Hemp Oil offers more relief taken less frequently, allowing you to feel alert and healthy. Enjoy better Skin, Nails and Hair.  1000mg Organic Hemp Oil contains Omega 3, 6, and 9 fatty acids, that have proven benefits to heart health.  1000mg Organic Hemp Oil is delivered orally in pleasant tasting mint flavored drops, so there are no pills to swallow. 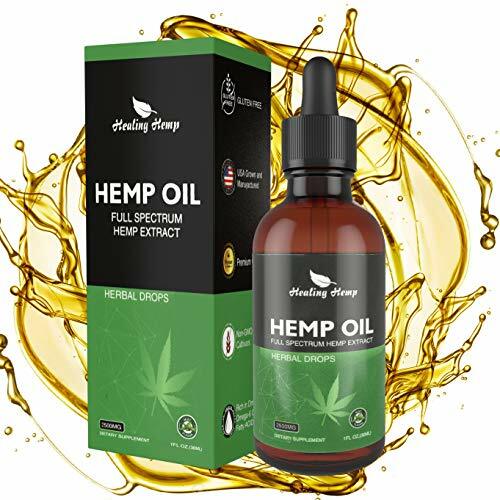  1000mg Organic Hemp Oil is organically grown and processed in the USA.  1000mg Organic Hemp Oil extracted through a cold CO2 process leaving nutrients intact.  1000mg Organic Hemp Oil is non-psychotropic and legal in all 50 states.  1000mg Organic Hemp Oil is 3rd Party Lab tested to ensure purity, quality, and safety. With Natganics 1000mg Organic Hemp Oil, you'll have a better night, so you can enjoy your day, tomorrow!  1 - 1000mg /1fl oz/ 30ml bottle of Hemp Oil Herbal Drops Dietary Supplement (mint Flavor) 30 Day supply.  1 - Measured Marked Dropper to perfect your dosage.  Take 1 - 2ml per day by dropper.  Take 1 - 2ml under the tongue (Hold for 45 seconds then swallow ) or in any of your favorite beverages. 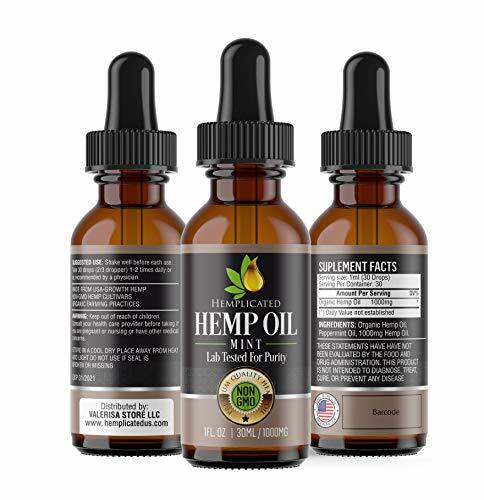 BEST VALUE: We offer our High Quality & Ultra Strength Hemp Oil in 1000 mg, Mint Flavor, unlike other hemp oils that offer 250 to 500 mg, Concentrated Hemps Oil naturally provides effective support for a wide array of discomforts, One supplement for multiple solutions. Roughly a 30-Day Supply! HEALTH BENEFITS BEYOND RELIEF: Best Hemps tincture oil drops rich in Omega fatty acids have proven heart health benefits, Use restorative hemp extract for natural pain relief, for sleep, and as an anti-anxiety supplement; Reduces inflammations. EXTRA STRENGTH FOR EFFECTIVENESS: Our Hemps Oil 1000 mg potency effectively supports pain, anxiety, stress, inflammation and insomnia relief in one or two applications per day, unlike lower potency products that you may need to take more frequently. MADE IN THE USA & OUR QUALITY COMMITMENT: We will fully refund or replace any product within 90 Days from purchase through our Manufacturer's Warranty if you are not completely satisfied; Simply CONTACT US so we can make it right; BUY NOW with full confidence. Say goodbye to handfuls of giant fishy supplements. Our Advanced Omega-3 Fish Oil is a breeze. Just take 1 softgel and you're done! No burping or choking - just good health. Grab your supply today while in stock. NO FISH BURPS: This supplement is burp free with no fishy aftertaste! HIGH EPA/DHA: High potency essential oil - you only need to take 2 a day! 90 -DAY RISK FREE GUARANTEE: Feel better or your money back! 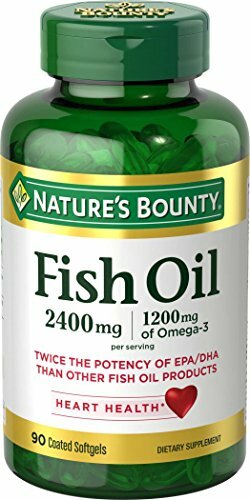 OMEGA-3S: Each Nature's Bounty Fish Oil 1200mg softgel contains 1200mg of fish oil for 360mg of Omega-3s. 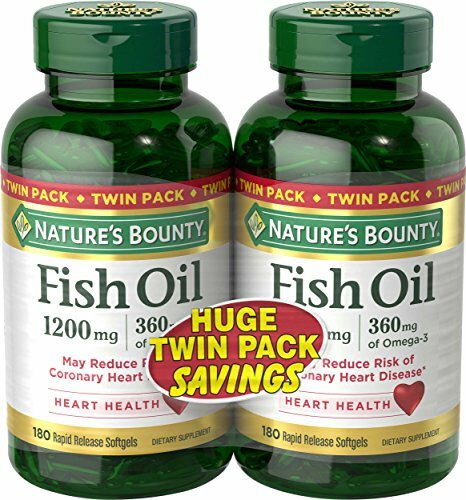 Nature's Bounty Fish Oil 1200mg helps support and maintain the health of the cardiovascular system. * The burpless formula means no fish burps! 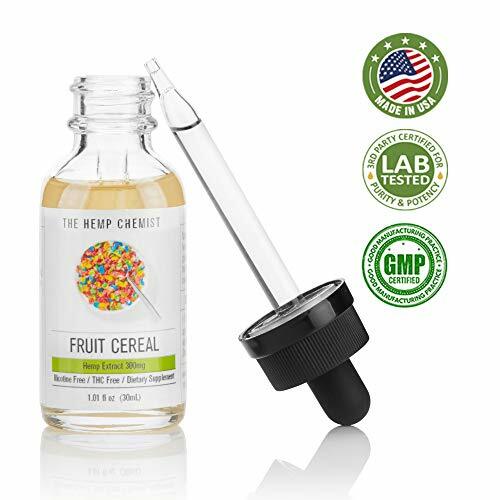 1 MONTH SUPPLY - 30ml bottle contains pure hemp extract. Good for a 30 day supply. HEALTH BENEFITS - Premium formula to help improve sleep, reduce anxiety, stress and mood. Provides muscle relaxation for post workout. Brain function. PREMIUM US LAB QUALITY - Manufactured in an FDA certified ISO7 laboratory. Proudly produced in the US. SUGGESTED USE - 1-2 drops under the tongue up to twice a day. Let drops absorb before ingesting. Shake well before use. We understand how it feels to live with Pain. Our mission is to help you with it. 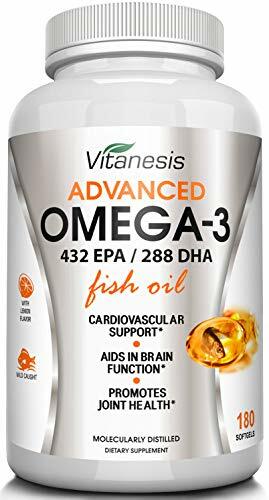 Contains Omega 3, 6, and 9 fatty acids, that have proven benefits to heart health, and strong anti-inflammatory properties. Is delivered orally in pleasant tasting mint flavored drops, there are no pills to swallow. You can also take 1 serving mixed into food or non-alcoholic drinks. Made in the USA, in a FDA approved facility, Third-Party Lab Tested for Purity, Quality and Safety. Is legal in all 50 states. It has zero THC , that means there is not allucinogic effects at all when using it. QUALITY SLEEP - Nothings beats a Good Night's rest. Hemplicated helps you to restore your sleep cycle. LAB TESTED FOR PURITY - Every batch is third-party certified for quality, safety and consistency. You will get the purest extract possible with Full Potency that will exceed your expectations. LEGAL IN ALL 50 states, our Hemp is Organically Grown only from certified US-Growth hemp farms. Made in a FDA Approved Facility. Consult your healthcare provider and employer before consuming any hemp product (including hemp seeds and hemp protein) as trace phytonutrients may lead to a positive test result. 100% MONEY BACK GUARANTEE - We stand behind our product with pride. If you are not completely satisfied, simply return our hemp oil to us within 30 days for a full refund. Every bottle contains 1 Fl Oz (30ml) equivalent to 30 day supply. Our Hemp Oil is one of the best on Market. We stand behind our words and we make sure that our Hemp Oil is made from whole plant, and in that way you get all benefits that are reducing Stress, Anxiety, Pain and Improve brain function, Mood, Hair quality and overall health comparing ones that are made just from Hemp seed and have only nutritional value. Taste our Hemp Oil and you won t look no more!!! NO STRESS OR ANXIETY: Our hemp oil drops help to reduce anxiety, support mood stabilization, decrease hormonal imbalances, improve sleep, lift mood. IMPROVED BRAIN FUNCTION: Our hemp oil drops help to stimulate brain health, improve memory, increase focus, sharpen attention, facilitate restful sleep. IMPROVED LOOKS: Our hemp oil drops helps to balance skin tone, hydrate hair & scalp, support skin regeneration, increase hair strength, improve skin radiance, improve the quality of nails. DIETARY SUPPLEMENT & DIGESTION ISSUES FIX : Can be administered daily as part of your diet. ANTI-INFLAMMATORY SUPPORT : Helps with swelling, pain, stiffness, sprains and strains. 1. Shake well before using. 2. Take 1 dropper full of liquid (equivalent to 15 drops) 1-2 times daily with or without food. 3. If using without food, hold below tong for 30 sec and then swallow. 4. Store in a cool dark place. HEALTH INVESTMENT - BOOSTS IMMUNITY, SHARPENS BRAIN FUNCTION AND HELPS WITH SLEEP - Our Hemp Oil is full with Omega 3 & 6 fatty acids & other irreplaceable nutrients that Reduces anxiety, supports mood stabilization, improves sleep, boosts brain and mood, eases pain, soothes stiffness, calms strained muscles, lowers inflammation, relieves joint pain, decreases hormonal imbalances, boosts metabolism and supports weight loss. 100% MONEY-BACK GUARANTEE - if you are dissatisfied with purchase from any reason, contact us for a full refund or exchange. ALL NATURAL, ULTRA-PURE - Packed with essential omega fatty acids and calming essential peppermint oil, also great for vegans. GREAT AND FRESH TASTE - comes in a great peppermint flavor, which makes taking your daily dose easier than ever. Good decision for those who do not want waste their time and money. Just one bottle serves you as an efficient helper for a One Month. 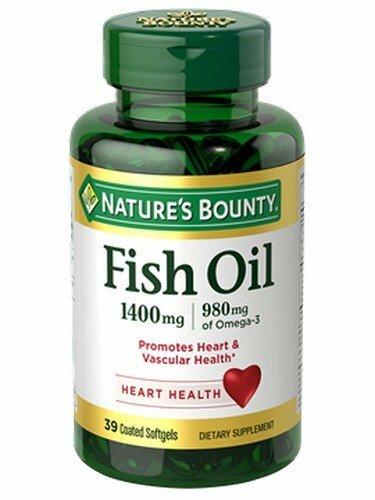 Nature's Bounty Fish Oil 1400 mg contains EPA and DHA, two Omega-3 fatty acids that help support and maintain the health of your cardiovascular system. Omega-3 fatty acids are considered good fats important for cellular, heart and metabolic health and help maintain triglyceride levels already within a normal range.